If you’re a vegan or dating a vegan, this list will be the perfect place to consult for your date this Valentine’s day (or any other day). Speaking as the sole vegan in my relationship for a few months (until Ethan followed in my footsteps), it meant so much when he would take me to a vegan restaurant. Even though he wasn’t fully committed to veganism, he could show me he supported me through these little dates. If you want to impress your plant-based-significant-other then this is a great cheap way to do it! And if you’re already plant based then these are, of course, still wonderful options for Valentine’s day! This is one of the cutest dates I’ve been on, no joke. Ramen Hood is located in Grand Central Market in LA. It’s surrounded by many other small food distributers, making this a really fun and chaotic environment. But Ramen Hood is located in the very front (prime location) so you only have to venture into the crowd if you want to. Also, I’m just saying, this place has vegan eggs in their ramen which is basically a game changer. 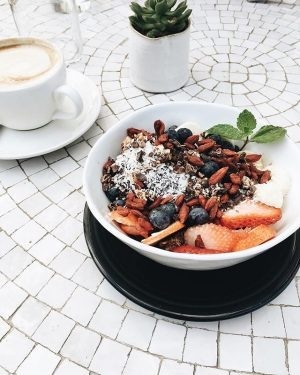 Sage Plant Based Bistro has locations in both LA and Pasadena which makes it very convenient no matter where you live in the LA area. They have breakfast (I mean, hi, they have vegan french toast! ), lunch, and dinner so you could go on a super cute brunch date if your schedule allows, or head on over for a quick lunch or dinner date if you’re a bit busier! The Butcher’s Daughter isn’t completely vegan, making it a great choice for vegetarians or if your significant other isn’t quite vegan yet and you are. With locations in both Los Angeles and New York, this wonderful restaurant isn’t just limited to LA locals. Plus they have breakfast, lunch, dinner, and cocktails so Sage Bistro has got some competition with being the most convenient restaurant on this list. 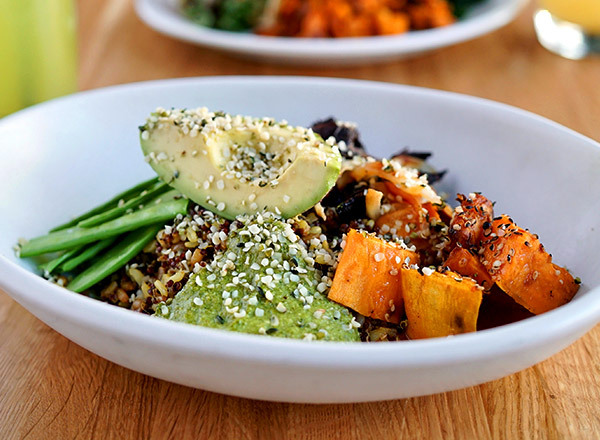 If you’re a vegan in LA and haven’t heard of Café Gratitude, what are you doing? Just kidding…but seriously, this is sure to be your new favorite place! They have locations EVERYWHERE in LA. If you aren’t one to deal with traffic – especially on a holiday – then this is the place for you! Definitely the best place on this list to take your meat loving significant other if you’re a vegan or vegetarian, plus it’s just a great place to go if neither of you are vegan but you’re looking to eat more sustainably! True Food Kitchen also has tons of locations around the U.S. so if you’re reading this from another state this is still a great option for you! I hope you enjoy this short little list of my favorite cheap date spots in LA (hopefully some of you are able to plan a last minute date for Valentine’s Day)! 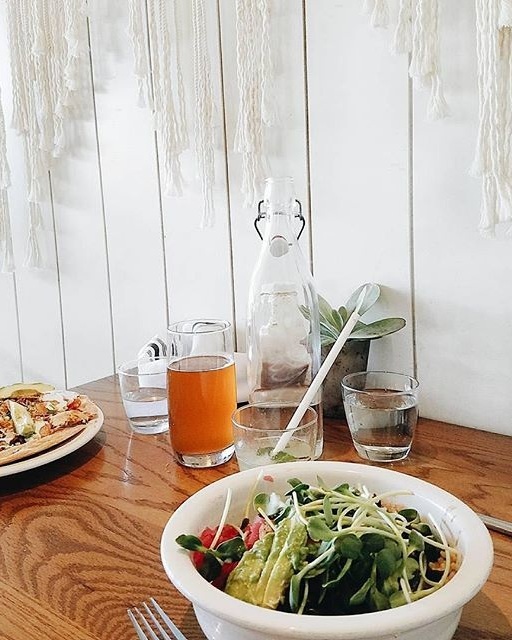 This post was made with the help of Vegan in Los Angeles (@veganinlosangeles), for even more date ideas, or for just a wonderful list of all things vegan in the LA area, check out The List.